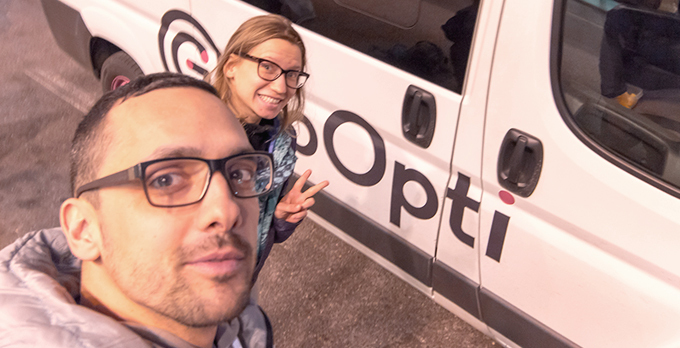 Mic and Katja, the GoOpti guest bloggers, have started their 6-months journey across Asia. In their first blog post they talk about their hectic start and the pleasures and pains of living in Bangkok. Would you like to know where are the loudest parties in the city? Follow their adventures! 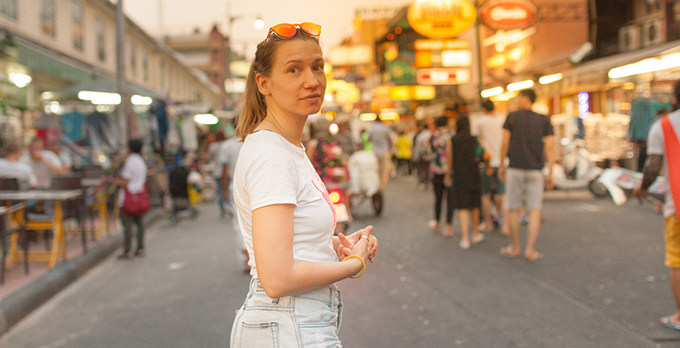 Khao San road is a backpacker area here in Bangkok. It's where they have the loudest parties, loads of alcohol, people dancing in the streets, locals offering you laughing gas. Normal tourists don't want to live here. It's where we live :) And after a couple of free gintonics in the ariplane, floating somewhere in different time zones coupled with overdose of adrenaline, we can't find sleep in Bangkok. We blame it on the three different kinds of house music that we hear in our room. It's hard to beat jet lag if even your computer hasn't decided yet which hour it is. Maybe it's today or yesterday or tomorrow. In one hour and 45 minutes the loudest of the bars will turn off the music and we will probably get some sleep. Our minds will be filled with pink walls from Hello Kitty cafe and their rainbow cake. After all the pinkness, we are ready to get some fresh Bangkok dust in our lungs tomorrow.